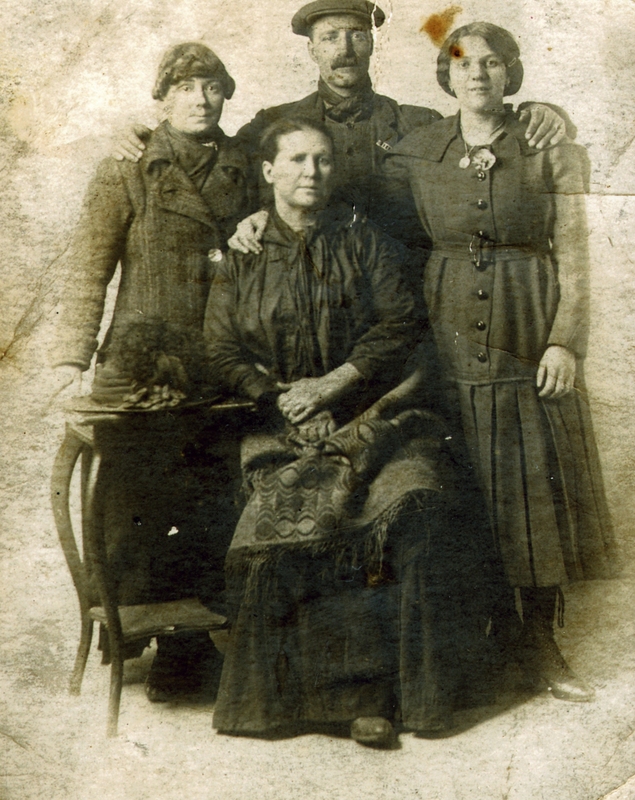 Arthur and Norah Seaby (centre) sent three of their coster sons to war. Private Arthur Seaby photographed with A Squadron Queen’s Bays at Aldershot Cavalry barracks August 1914. Private George Seaby received a serious head wound on the Somme and was transferred to home duty in the Highland Light Infantry. 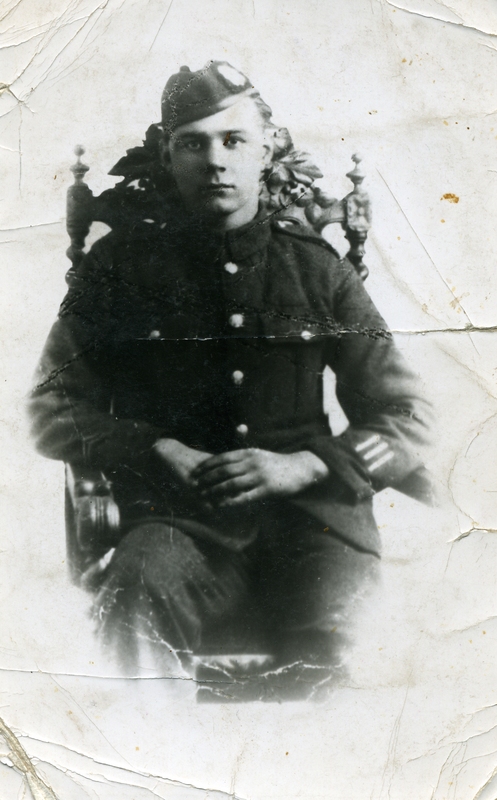 Private Richard Seaby of the Leicestershire regiment was killed on the night of December 3/4th 1917. To bring in the crowds music halls looked to portray on stage and in song Cockney characters that would appeal to their audience. The costermonger soon became the archetypical music hall figure with performers like Gus Elen making his name playing one on stage. Costermongers — or, more familiarly, costers — were street traders who usually sold or hawked fruit or vegetables from a donkey-drawn barrow (the name was derived from costard, a type of apple). 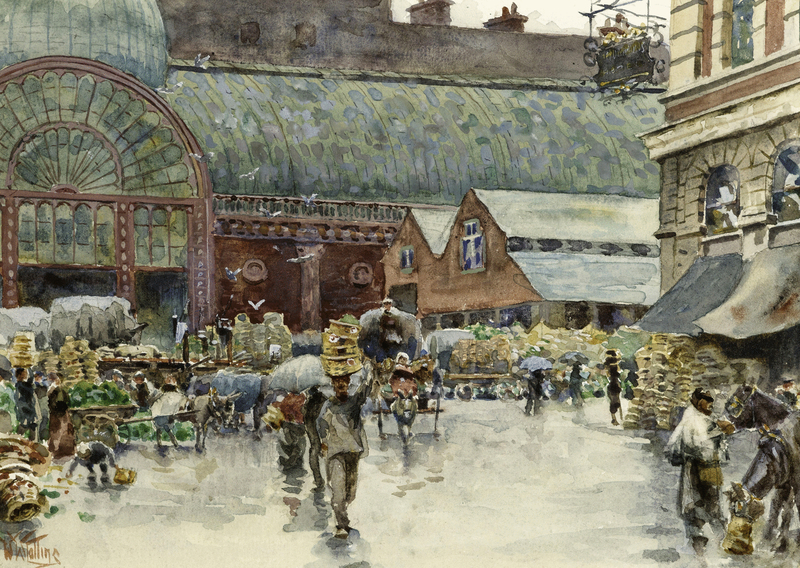 The heart of the costers’ world was Covent Garden market, which at its height was the destination for almost a third of all the fruit and vegetables imported into this country. This placed the coster in the heart of theatre land and it’s through their eyes that our story of music hall in the Great War will be told. Arthur Seaby (1894-1914) was born into a family of costermongers from the North End Road, Fulham. 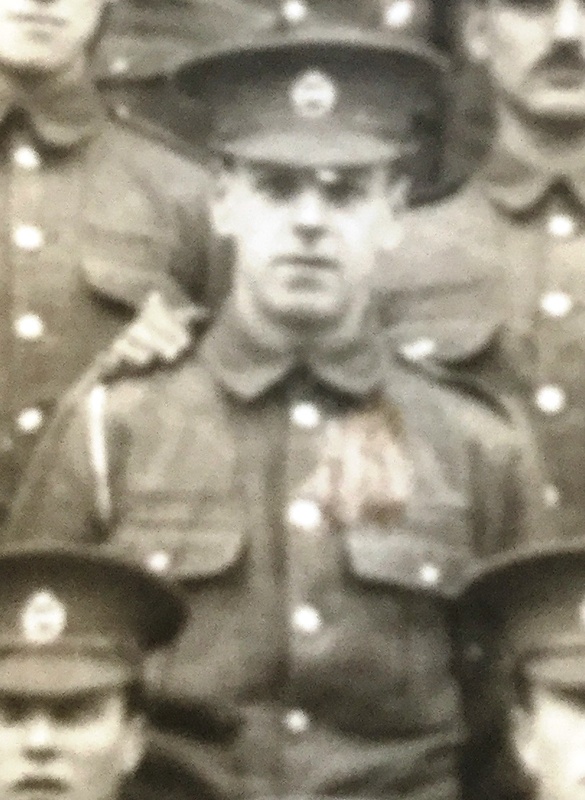 In 1913 he joined the 6th Battalion Royal Fusiliers before transferring to the cavalry, to the 2nd Dragoon Guards (Queen’s Bays). In August 1914 Seaby embarked for France with ‘A’ Squadron, Queen’s Bays. On 1 September 1914, at Nery, during the Retreat from Mons, the Queen’s Bays and supporting Royal Horse Artillery were shelled by German artillery and clashed with the German 4th Cavalry Division. Here, Seaby took part in one of the last British cavalry charges of the Great War. By 15 September 1914 this war of movement ended, as British and German forces reached deadlock at the River Aisne. Trench warfare now took hold on what became the Western Front. The Queen’s Bays were moved to Messines, south of Ypres in Flanders. On 31 October 1914, during the First Battle of Ypres, Seaby was killed in action along with fourteen of his comrades. Unlike Arthur, who had exchanged his coster donkey for a cavalry charger prior to World War One, his brothers Georgie and Dicky would have whole heartedly agreed with the classic song, ‘All My Life I wanted to be a Barra Boy!’ After the death of their brother, both preferred their life as costers to the dangers of volunteering in khaki. Conscripted in 1916, much to the anguish of their mother Norah, Dicky was killed at Cambrai on December 3rd, 1917. He left a young son named after his father for his new wife Bertha to bring up, whilst Georgie returned to Covent Garden with a metal plate in his head as a result of wounds inflicted during the Battle of the Somme whilst serving with the Royal Fusiliers. ‘There’s a silver lining in the dark clouds shining’ claimed the hopeful music hall favourite, ‘Keep the Home Fires Burning. However, for the Seaby family there were only dark clouds. Arthur and Richard’s remains were never identified. 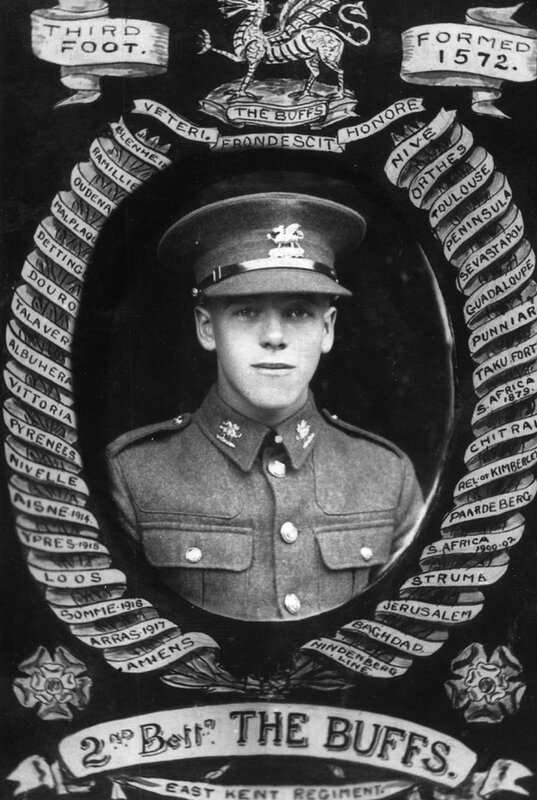 Private Arthur Seaby is remembered on the Menin Gate Memorial at Ypres and his brother Private Richard Seaby of the 2/4th Leicestershire Regiment is on the Cambrai memorial.